Projectors have been continuously bringing entertainment, information, gaming and much more at home & Corporates workplaces. But the next level is the 3D projector. And now the 3D projectors are available in the market which brings thrill, action and those eye-catching effects at your home. Here are some points you need to make a note before buying 3D projectors. We recommend you to buy a 3D projector having resolution 1080p. It has a screen resolution of 1920×1080 pixels which provides vibrant colors and contrast on the screen. These projectors will cost you about $1100. 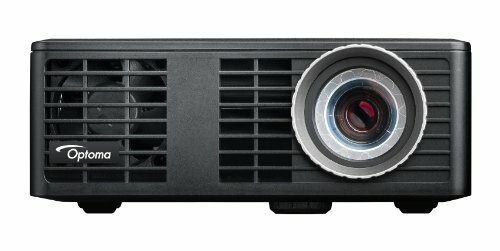 For low budget 3D projectors, you can still go with 720p projectors which cost you about $800. Higher the contrast ratio better the color and brightness. This is all that the contrast ratio is all about. So go for a 3D projector which provides a higher contrast ratio. This is a very significant factor while purchasing a projector. This allows not only the easiness to take along with you while you travel but to install and configure the same. This also helps in your R&D of placing your projector in different angles and distance. The technology used by projectors manufacturer differ from each other. Some of them are given below. – Liquid crystal display (LCD) provides a balanced brightness than other projectors. – DLP i.e. Digital light processing projectors provide charming output at 1080p. These projectors require less maintenance than other 3d projectors. – LCoS, a fusion of DLP and LCD projectors provide the best output as compared with DLP and LCD. But you need to loosen your pocket a bit to grab the one. This is definitely the point to look for. If you can spend a good amount on 3d projectors go for LCoS projectors else you can still purchase DLP and LCD projectors. Looking at the market trend, 3D has become more of a necessary feature in a projector because these days almost all the brands have introduced their 3D projectors at much affordable rates. And the top five projectors among the best ones are ones that you just through. A little more help on narrowing down to one wouldn’t hurt, would it? We thought so. So here we are, starting with 3000 lumens projectors on the list; Optoma HD142X and Optoma GT1080 Darbee. Both the projectors have a 3D DLP picture that is sharp and looks more natural. And also they have short throw ratios, making them great for short spaces. However, the GT1080 Darbee goes a step further with its ultra-short throw of 0.49:1, which is ideal for console gaming. 28000:1 is the Contrast Ratio of GT1080 Darbee, which evidently imparts a deeper definition to the picture and with a 23000:1, the HD142X isn’t too far behind either. Both the projectors enjoy Full HD resolution and pixelation is almost a myth when it comes to these projectors. Bearing quite simple connectivity features both can connect to a list of HD devices including Smartphones. With a better lumen count, the ViewSonic PJD5155, with an SVGA resolution of 800 x 600 resolution, instilled with 20000:1 Dynamic Contrast ratio. You would not need external speakers with the PJD5155 as it has powerful built-in speakers. The projector also features quite a huge maximum image size of 207”. However, we would recommend this one if you need a projector for presentations. 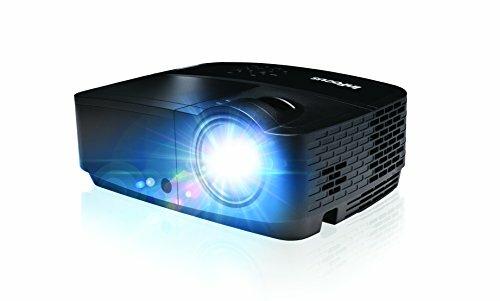 Pro-cinema projectors are the ones that bear the most demand in the market and it looks like the BenQ HT2050 and Epson Home Cinema 2045 were specially designed for this very purpose. A big similarity between these two projectors is their 2200 lumen count. However, the Epson 2045 has a far better contrast ratio of 35000:1 than the HT2050’s 15000:1. Miracast support gives the Epson 2045 another incredible ability of direct streaming. 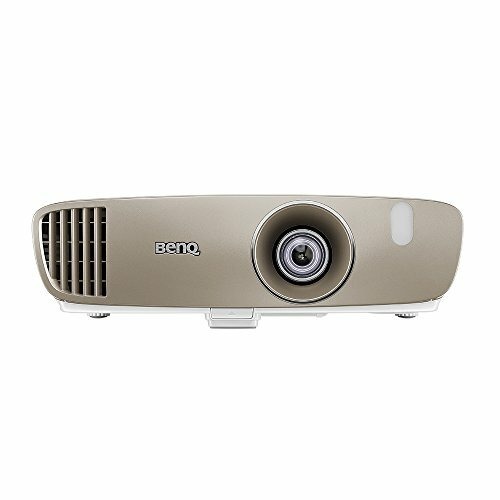 Though in terms of picture quality, BenQ’s DLP projector has more experience and it shows with its RGBRGB Color Wheel and All-glass cinema grade lens with ISFccc certificate for day and night viewing guarantee. On the other hand, the Epson Home Cinema 2045 has a 3LCD projection with 3x more color brightness and color details. Also, the Epson Home Cinema has support for Smartphone connectivity along with the usual options, whereas the BenQ HT2050 lacks it.